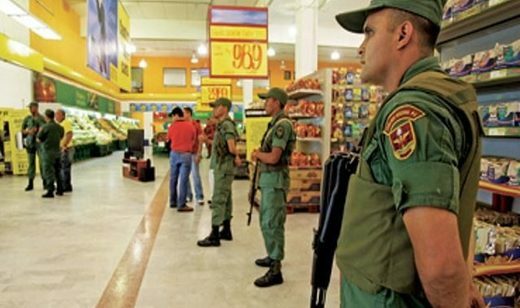 The Vice President of Venezuela’s National Constitutional Assembly, Aristobulo Isturiz, revealed that the US imposed economic blockade on Venezuela has prevented 18 million boxes of food from reaching the country that is suffering from food shortages. He then went onto highlight that the sanctions affect ordinary Venezuelan people and not the country’s leadership, just as US-imposed sanctions on Syria are having the same effect. Isturiz then revealed that allied countries had to make payment for the food to be reached as the US sanctions prevents Venezuela from making such purchases. TeleSUR explained that while Venezuela does have a food crisis that has resulted in mass food shortages, the blame is often pinned on the country’s socialist government and that government officials accuse right-wing opposition forces and their allies in the private sector and in international finance of intentionally sabotaging the economy. The U.S.-led coalition’s intentional plan to make Venezuela’s economy “scream” reminds one of severely abusive multi-millionaire parents who cruelly withhold food from their children, then blame their sons and daughters’ malnutrition on the children’s “socialism”. Great analogy, Jerry. I love it.